Drake (pictured at a Toronto performance in October) unveiled the 22-song project “More Life” on his OVO Radio program Saturday. Drake wants to make one thing clear: “More Life,” the 22-song project he unveiled on his OVO Radio program Saturday evening, isn’t an album. 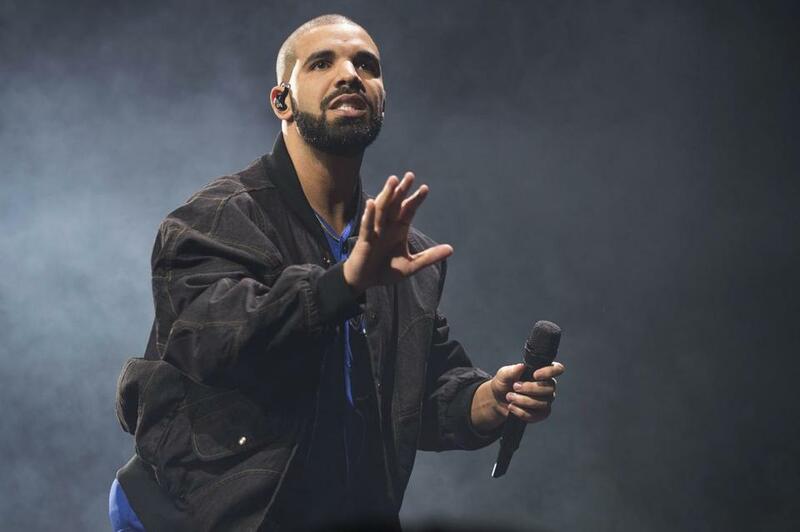 Arriving nearly a year after the superstar rapper’s staggeringly successful album “Views,” it’s instead described as a “playlist” curated by October Firm (a.k.a. Drake and OVO cofounder Oliver El-Khatib). But what does that mean, with its appearance across multiple streaming platforms, and the inclusion of chart-toppers like “Fake Love”? Terminology aside, it’s a sprawling, star-studded release, and an impressive achievement — one that signals a new level of ambition for Drake. But what’s most invigorating about the release is its startling scope. Across an extensive 81 minutes, Drake tries on every genre he’s toyed with in the past, segueing from trap to dancehall to Afrobeat and London grime with the hyper-efficient versatility that’s become one of his artistic calling cards. The sand-and-sun fantasia “Passionfruit,” the most immediately striking song on “More Life,” might also best exemplify this approach. On it, Drake’s smooth vocals are carefully layered beneath light keys and a chilly, tropical beat. The track, wedged between the hard-charging “No Long Talk” and the straightforward rap cut “Jorja Interlude,” is the first instance of many here in which Drake takes a backseat to production that, channeled from a singular geographic influence (on “Passionfruit” it’s the Caribbean, while “Gyalchester” is Atlanta to its core), broadens his sonic palette. For a star who’s voiced vexation over being framed solely as a hip-hop/rap artist, it makes sense that he’d deliver something like “More Life,” as stylistically expansive as anything he’s ever done. The playlist unfolds like an hour of Drake radio, overflowing with tracks that display not just his own genre-bending ambitions but also the voices of other, less globally visible trailblazers. Surprisingly, it may be Drake’s fascination with UK grime that stands out most on “More Life.” London emcee Giggs is the gritty, bar-spitting core of both “No Long Talk” and the bruising “KMT,” while the up-and-coming Brit Skepta gets an entire “Interlude” to himself. Drake never quite gets a handle on the South London slang he reaches for on the skittering, romantic “Blem,” though “I need you to stop runnin’ back to your ex, he’s a wasteman” may be the best, Drakiest lyric on the whole project. Still, the fact that he makes such an effort to showcase the London rap scene suggests a genuine affection for both performers’ uniquely rough-hewn styles, and a willingness to give them a leg up. With its record-breaking chart performance and command over the radio, “Views” cemented Drake as one of modern music’s biggest artists, and that career high — after years spent collaborating with scores of other musicians — may have instilled in him a sense of responsibility to pay it forward. From his high perch, Drake is working to craft the kind of legacy befitting a pop star with truly global ambitions: one majestic enough to seal his sovereign status, and magnanimous enough to prove him deserving of it. Isaac Feldberg can be reached at isaac.feldberg@globe.com, or on Twitter at @i_feldberg.